Have you noticed that cupcakes seem to be the latest trend? 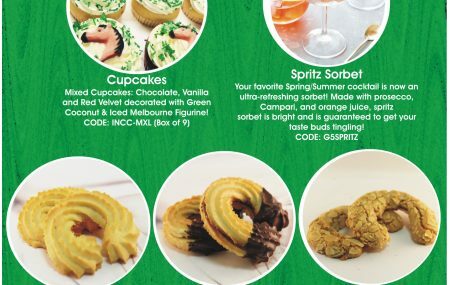 Cupcakes have made a huge comeback in Australia, and for good reason! They are the perfect single serve treat and come in a wide variety of colours, flavours and sizes. They are ideally suited for parties, office celebrations or just as a treat to yourself. Casa Del is proud to create the best cupcakes in Sydney. 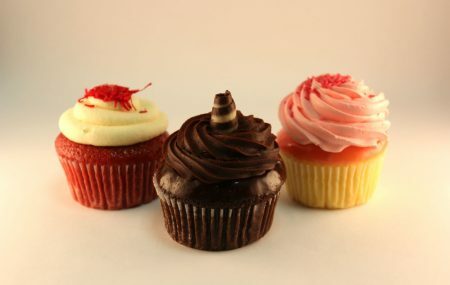 Indulge your sweet tooth today with our wide range of cupcakes on offer, there is something for everyone! You can’t go past the classic vanilla cupcake. With a rich, buttery flavour and a fine crumb, our freshly baked vanilla cupcakes are guaranteed to satisfy. To add a bit of visual interest and a pop of colour, they are topped with a strawberry swirl and sprinkles. Looking for a crowd-pleasing assortment? Mixed cupcakes are ideal. Freshly baked vanilla cupcakes are topped with a variety of delectable icings, including strawberry, orange and poppy seed, lamington and cookies and cream. The array of colours and toppings will take pride of place at the table. The perfect afternoon treats for the office. The chocoholics dream. Our decadent chocolate cupcakes are rich, moist and irresistible. Topped with a swirl of chocolate ganache and a chocolate scroll, they will prove impossible to resist. Red Velvet is one of the hottest trends right now. These dazzling red cakes are topped with a cherry cheese icing, which adds some acidity and tartness to counteract the sweetness. They are also topped with red shredded coconut for some texture and visual interest. Great for parties and a real attention grabber. Try them today and see what all the fuss is about! Perhaps one of the biggest reasons that cupcakes are making such a comeback is due to the endless customization options. Everything from the colour, size, icing type and decorations can be customized according to your preferences. We are more than happy to make and design specialty cupcakes – just give us plenty of notice and we will bring your ideas to life. If you thought cupcakes were only for children’s parties, think again. Cupcakes have never been more popular. Casa Del cupcakes are the best cupcakes in Sydney. Please contact us to place your order today! Best chocolate cakes Sydney has to offer! Can’t say no to a chocolate treat? We don’t blame you! Chocoholics rejoice for we are here to satisfy your cravings. Casa Del have the most decadent chocolate cakes Sydney can offer. Winter calls for relaxation and indulgence, and it is the perfect excuse to indulge in some comfort food. We all work hard, so you deserve to reward yourself and loved ones every now and then. Whether young or old, everyone loves chocolate. It could be rich and bitter-sweet; or smooth, creamy and satisfying – we cater to all tastes. Casa Del offer a wide range of chocolate cakes and only use the best quality chocolate. Give in to temptation with one of our best sellers, you won’t be disappointed. 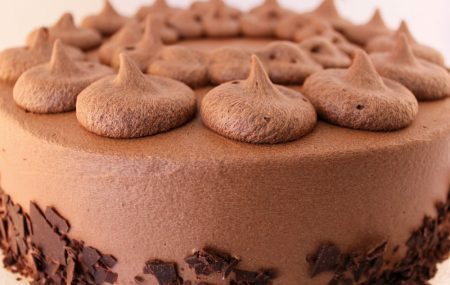 For the devout chocoholic who can’t get enough, try our Triple Chocolate Cake. This decadent cake stands out from the rest with rum soaked chocolate sponge, layer of chocolate ganache, layer of Cadbury chocolate buttercream, chocolate glaze and chocolate shavings. It is a chocoholics dream come true – you won’t be able to stop at just one slice. Perhaps you are looking for something to sink your teeth into. Fudge is a classic treat that will tantalize the tastebuds and have you coming back for more. Satisfy the craving with our Chocolate Fudge cake. Triple layer chocolate sponge generously topped with chocolate fudge, decorative fudge temples and chocolate flakes. This cake offers the best of both worlds, how could you resist? For those who like their chocolate rich and dark, give in to temptation with our . Made from a rich, moist, dark chocolate mud that is topped with thick chocolate ganache icing, it is little wonder why it is one of our best sellers! The sides are adorned with roughly cut chocolate flakes to add texture and aesthetic interest. Just one slice will take you to chocoholic heaven. So, what are you waiting for? Indulge your sweet tooth with one of our chocolate cakes Sydney! Baptisms and christenings are important religious traditions that celebrate new life and spiritual rebirth. Welcoming a baby boy or girl into the community is a momentous event that will be enjoyed by all in attendance. During a christening, your child will be baptized with water – this represents spiritual cleansing and a commitment to faith. Once the formalities are over, the baptism cake will steal the show – so let us help you celebrate. Casa Del offer a wide range of baptism cakes to cater to every taste and personality. Many of them feature religious motifs making them perfect for traditional baptism and christening ceremonies, but we also offer contemporary designs that seem to be an increasingly popular choice. Whilst traditionally a christening cake would have a fruit cake base, these days most people are opting for either a light sponge or mud cake. For a contemporary twist on the traditional baptism cake, we have the Buttercream Round Cake. Featuring a handmade iced blue cross and personalised writing, this cake is elegant yet meaningful. The perfect choice to mark the occasion of your child’s baptism or christening. For a unique take, consider our Bible Book Cake. This cake presents just like a bible, commemorating the baptism or christening within its pages. The religious significance is highlighted through the large cross on one page of the book, whilst the other features a personalised message and the date. Our dazzling pink cakes are particularly popular with girls. Choose from the round buttercream cake decorated with booties and butterflies, princess quilted cake with ruffles, iced bow and tiara or the beautiful two tier quilted block cake featuring iced baby shoes, ribbon and a dazzling diamante cross. Boys and girls alike love animals and colourful characters, and don’t we know it! Check out our Teddy Bear Cake which is a stunning two-tier cake with vibrant blue royal icing and polka dots. It is adorned with a handmade teddy bear and personalised plaque to commemorate the day. We also have the Elephant Cake, adorned with iced bows, polka dots, stripes and a handmade Elephant topper. Both these cakes are perfect for the animal lovers. They are ideal baptism cakes and are best made with your choice of caramel, chocolate or marble flavours. For something on the lighter side, try our New Baby Cake – which can be made from sponge. Choose from buttercream or fresh cream and let the cake speak for itself. Tastefully decorated, it is the perfect baptism cake. You might also like to welcome your bundle of joy with the New Baby Pillow cake. This is a truly unique baptism cake that is hand carved and resembles a baby pillow. Featuring diamantes, iced block letters, baby shoes and rattle it is ideal for celebrating your babies’ baptism or christening. Make it a day to remember. Choose from our range of traditional and contemporary baptism cakes – the perfect ending to a significant life event. Check out our full range of baptism cakes here. 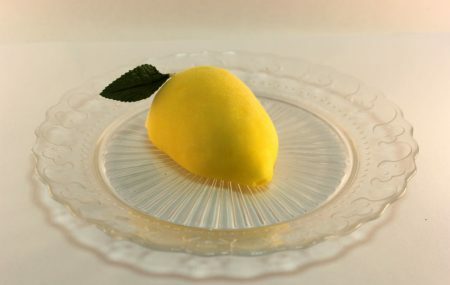 Gluten Free Dessert – We make it tasty! Gluten intolerance is at record highs throughout the world. There are many theories, though the reasons for this are not entirely clear. But don’t despair! Whether you are coeliac or sensitive to gluten, you shouldn’t have to miss out on delicious treats. Have your cake and eat it too with Casa Del’s range of gluten free products. Here are a few of our most popular gluten free dessert Sydney customers will enjoy. Envious of your friends indulging in a rich mud cake? Don’t be. Give our flourless chocolate mud cake a go. A deliciously rich chocolate mud cake, topped with chocolate ganache and decorated with dainty chocolate scrolls. You won’t be able to say no! Thought you’d never find a great tasting chocolate brownie? Think again! Casa Del have recently introduced a flourless chocolate fudge brownie to their gluten free dessert range. These tasty brownies are moist and filled with Californian walnuts and dusted with pure icing sugar. Rich, moist, decadent – and impossible to resist. Looking for something to enjoy with a cup of tea/coffee? 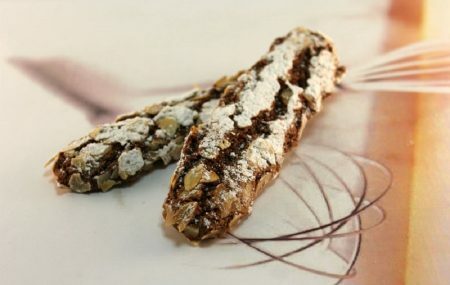 Try our Almond Pistachio Biscotti. These sweet & moist biscuits use only the highest quality pistachios and sliced almonds. Finished with a dusting of icing sugar, these gluten free biscuits are one of our top sellers. Prefer traditional biscotti? We have you covered. Our Pure Almond Biscottiare made from pure almond, sugar, egg white and icing sugar. Biscotti is a winner and proves that gluten free treats don’t have to be bland. Some might say they are even tastier than traditional biscuits! If you have a gluten allergy/sensitivity and live in Sydney, you shouldn’t have to limit yourself to the supermarket aisles – let Casa Del handle your cravings. 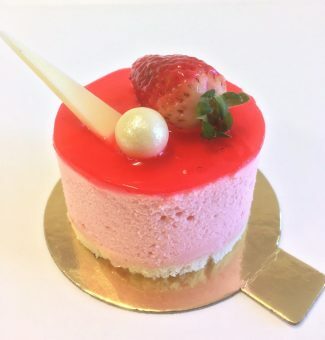 Our expert pastry chefs produce the best gluten free dessert Sydney can offer. Which will you try first? The cake is one of the most important parts of a birthday celebration, so it should be one to remember. 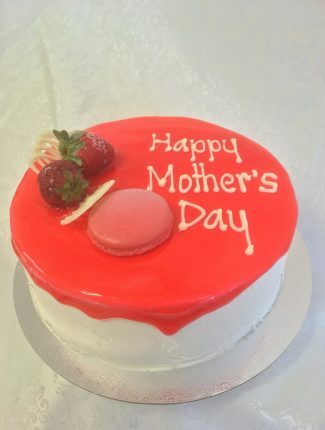 Casa Del make it easy to design your own cake, with our expert pastry chefs on hand to help you conceptualize and bring to life the cake of your dreams. Whether you have grand plans or just looking for something unique, you can rest easy and leave the hard work to us. Outlined below are a couple of our most popular designs, but feel free to get in touch with your own ideas too! Superhero cakes are a super popular choice for children and grown up fans alike. The crest is one of the first images that come to mind when you think of a superhero. Whether it be Batman, Superman, Spiderman, Wonder Woman, Iron Man or any other superhero, we can create the cake to match! Superhero crest cakes feature the iconic colours of your favourite superhero and are hand carved, with the different colours all offering great contrast and making for a striking sight that looks almost too good to eat! Most people opt for chocolate mud cakes as the base, as they are easy to carve and provide good foundations for the fondant icing on top. We have a range of different colour food dyes on hand, so nothing is too tricky – if you are looking to design your own cake for a superhero fan, leave it to us! For the vino enthusiast, we can create a custom wine bottle cake. 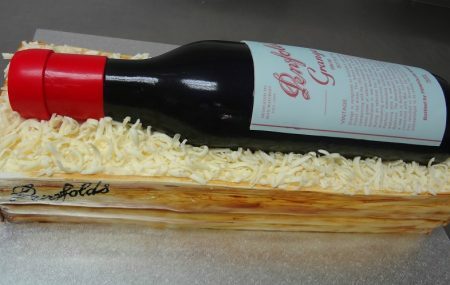 Whether it’s the iconic Penfolds Grange or a local favourite, custom wine bottle cakes really test the skills of our pastry chefs. Great care and attention to detail shown throughout the entire process – just like winemaking. The cake is hand carved, hand painted and presented in a wooden box with white chocolate shavings. Let us know your favourite bottle of wine and we’ll turn it into a delicious cake to remember! A popular source of inspiration for our customers are sports teams. It doesn’t matter which team you go for, we support you all the way. Let us know the team and we’ll produce a stunning cake that is guaranteed to be a winner. This is just a small sample of a few of our most popular custom cakes. If you have an idea and want to design your own cake, we have the tools and expertise to bring it to life. Nothing is too difficult, we love to get creative. Be sure to check our Instagram for inspiration. Get in touch today and put us to the test! 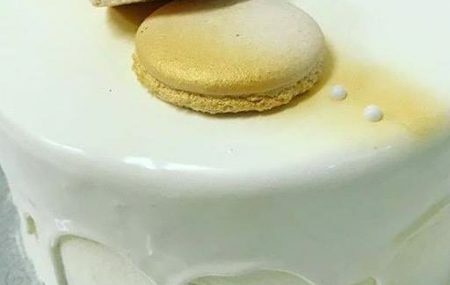 If you’re looking for the best contemporary cakes Sydney, you’ve just found them! Glazed cakes are the latest trend in the cake world, and no doubt you’ve come across some of these incredible creations on social media. 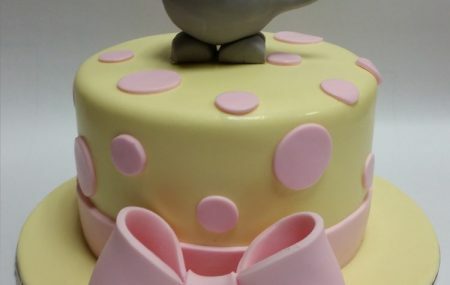 Australians are enamored by sweet treats and contemporary design, which has made way for innovation and the discovery of new techniques within the cake industry. 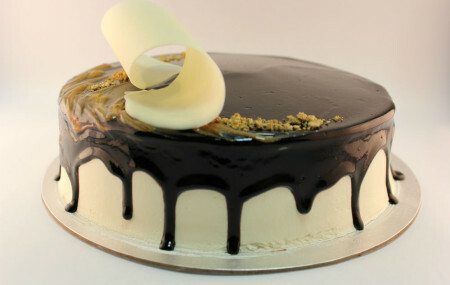 Glazed cakes feature a smooth, shiny and reflective surface which makes them a sight to behold. Whilst you can opt for a simple one-colour glaze, marbling is also possible. The glazed surface is also the perfect canvas for decoration, whether it be macaroons, chocolate pieces, berries or fresh flowers. Due to the highly reflective surface, these cakes have also been referred to as ‘mirror cakes’. Glazed cakes are perfect for any occasion. The contemporary, elegant finish will fit right in whether it’s a birthday celebration or a wedding. Don’t be surprised if the cake takes the spotlight, this trend is super popular in Australia – everyone will want to get a snap! The expert pastry chefs at Casa Del have recently come up with 3 new glazed cakes. There is a flavour for everyone! Choose from our Glazed Sticky Date, Glazed Red Velvet and Glazed White Alaska. Glazed cakes look almost too good to eat, some say they look good enough to hang on a wall! But with flavours such as these, how could you possibly resist?